Editor's Note: The central authorities emphasized in recent months that the country will continue to actively support the growth of the private economy, open wider to foreign investment, safeguard the legitimate interests of foreign businesses and step up efforts to develop artificial intelligence technology. China Daily interviewed scholars and business executives for their opinions on these aspects. How do you see private companies' role in the Chinese economy in the future? 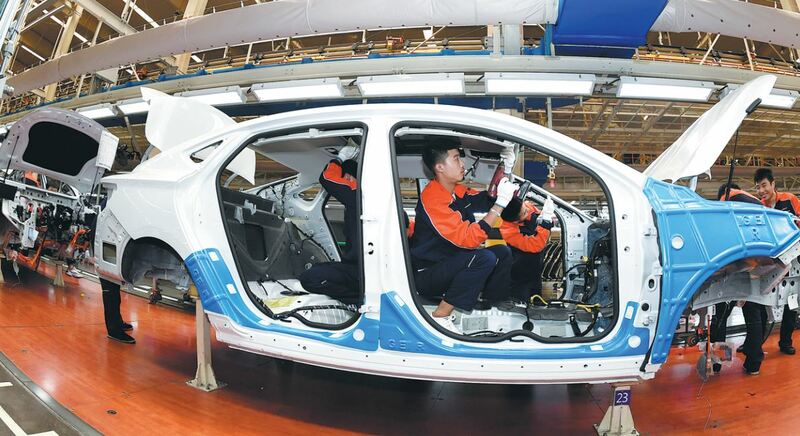 The private economy in China contributes more than 50 percent of tax revenue, more than 60 percent of GDP, more than 70 percent of technological innovations, more than 80 percent of urban labor employment, and more than 90 percent of enterprises. This only serves to reinforce an emphasis on the private sector. 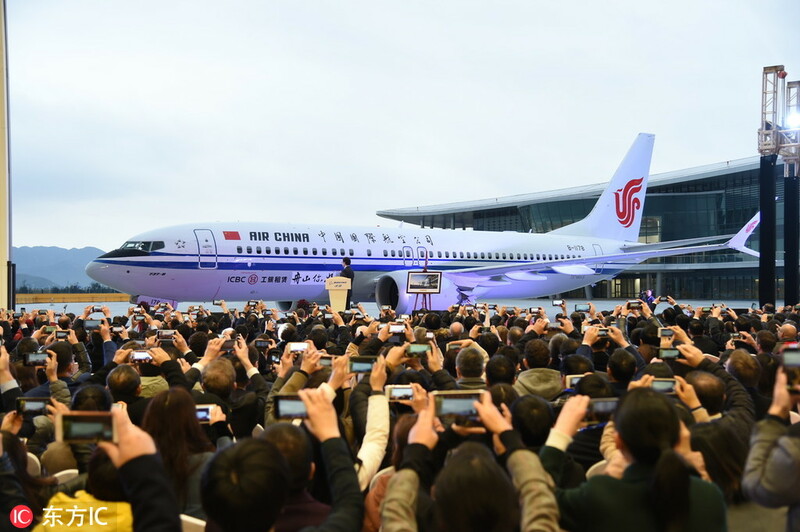 President Xi Jinping underscored the need for self-reliance and support for China's private sector companies. Since reform and opening-up, China's private sector has played and will continue to play a critical role in China's economy. China's private enterprises are a key component of the socialist market economy and a source of economic resilience. As President Xi noted, the private sector should move toward a broader role in the Chinese economy. The real question is how that can be accomplished. Since the United States continues to engage in both protectionism and deglobalization, it is incumbent upon Chinese private firms to be nimble, competitive, diversified and better managed to meet the challenges. How do you think private companies can make even greater contributions to China's socioeconomic development? What suggestions do you have for the government to better support the development of private companies generally? There are some real challenges that are being imposed upon the private sector in China: domestic over-regulation, a downward pressure on investment, and a slowing property market. All of these have had an impact on confidence and State-sourced lending. And then there is the China-US trade dispute, which has had an adverse impact on private companies. Within this environment it would seem to be very difficult to make much of a contribution. But, China's private sector is resilient. I think that the key for the private sector is to partner with the government and with fellow private companies on artificial intelligence initiatives, new industrialization, informatization, urbanization, and agricultural modernization. It also helps that the central leadership has encouraged State lenders to support the private sector. Continued supply-side structural reform, tax cuts, the strengthening of the stock markets, expanded lending and targeted deregulation could all be great ways for the government to better support the private sector. What is your forecast for China's economy in the next three years? What key issues will you be watching? I think that we will continue to see a transition to high-quality and high-impact goods and services. What is key for me is to see what kind of government-private sector relationship develops. Implementing reform and achieving success in the marketplace require the building of a strong and close partnership between the government and private companies. I would be on the lookout for meaningful financial and governance initiatives that are designed to expand both domestic and international horizons for the private sector, initiatives that should be aimed at emphasizing the development and enhancement of innovation capabilities, business capacities, and global competitiveness. China will continue to proactively attract foreign investment and safeguard the legitimate interests of foreign-invested businesses as part of efforts to support the economy. What is your view on this? How will that benefit your business? These efforts show that China is committed to further opening up the nation's economy, connecting the country to the world, while encouraging open collaboration and synergy, through more inclusive and diversified relationships with foreign countries. China's manufacturing industry has always played a crucial role in the global economy. The industry's strong competency is one of the key elements that curates the environment for foreign investment. In addition, since the green economy is on the uptick globally, an environment that supports sustainable development through sustainable businesses will be able to attract investment. Against this backdrop, the heightened awareness and recognition of the importance of a green and sustainable economy will create market demand for products and solutions that are science-based, sustainable, and scalable to meet the challenges our world faces today. DSM's products and services are at the heart of supporting China to develop a harmonious society - not only to support urbanization but also to help the larger population in the countryside. Fighting child hunger and malnutrition has always been one of our top missions. As a global manufacturer, we know first-hand the need for higher-quality, safer, more sustainable and cost-saving materials in industrial manufacturing and equipment. Our advanced materials help the world's manufacturers to produce better products. Can China's further reform and opening-up level up its business environment, and inject new strength into your industry? As China continues its reform and opening-up journey, I believe we will see more open collaboration and synergy in the market. It is important for all these to continue to develop at a speed that is sustainable, combined with a balanced strike between the country's economic development and environmental protection. DSM is well poised to capture opportunities presented as we place sustainability at our core, which means simultaneously pursuing economic performance, environmental quality and social responsibility. The market will need this type of integrated solution going forward. We have established our regional headquarters in China, as well as our science and technology center in Shanghai, where there are about 80 scientists who work relentlessly to develop global innovations that bring sustainable, positive changes to the world. Innovation follows collaboration. With China's further reform and opening-up, we believe more fruitful and powerful interplay between China and its stakeholders will be seen. Taking the manufacturing sector as an example, with China's further reform and opening-up, coupled with initiatives such as the Belt and Road Initiative and smart manufacturing, vitality and innovation will be injected continuously through increased interaction and exchanges with other countries. China is embarking on responsible and service-oriented manufacturing as the priority to enter high-end sectors and overseas markets. In the next three years, I believe China's economy will grow steadily with more foreign collaboration in the market as the country further steps up reform and opening-up, as well as encouraging foreign collaboration and investment through initiatives such as the Belt and Road Initiative. As the country's three-year action plan on clean air will be in full speed in the next three years, progress will be seen in renewable and new energy vehicles toward the development of a green transportation system. Meanwhile, China will be halfway through the transformation of smart manufacturing, a program launched in 2015. The transformation and upgrading of Chinese industries will be worth watching. When you have investment from outside of the country, it creates a climate of cooperation. So the key is to say we welcome foreign investment as a way to establish closer ties between ourselves and others around the world. That's the whole point of seeking outside investment. It's not to raise capital. It's to create the ties and to have those ties be very meaningful and rewarding for everybody. This is a situation where, by working together, we actually create more value. The opportunity here is for us to continue to have dialogue and to talk about our differences and philosophies, and how these, when they are executed in practice, have impact - positive, negative, or neutral - on each other. So when we think about trying to have neutral, beneficial relationships, the key is to find harmony - how we can adjust our behavior so that everybody benefits rather than having one person suffering or both groups suffering. Lia Zhu contributed to this story.